Kerala witnesses the first ever transgender marriage. 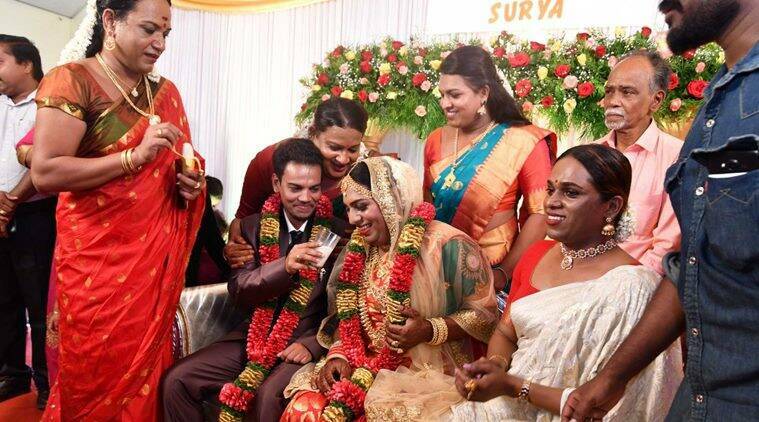 Ishan (33), who underwent female to male surgery, married Surya (31), who has undergone male to female surgery. This is the first time a transwoman and transman enter into married life in Kerala.They tied the knot in Thiruvananthapuram on Thursday. Surya is a TV actor and member of the State Board for Transgender Justice. Ishan is a member of Oasis, a self-help group for transgenders.Both took the vow as per the Special Marriage Act, in the presence of their family members and well-wishers from the transgender community.